Mt. Kokushigatake is an amazing place to shoot Fuji! I’ve always wanted to shoot Fuji from the top of Mt. Kokushigatake. I tried to climb the mountain last November, but the gate of the forest road leading to the mountain was closed earlier than usual due to heavy snow. I was very busy with my exhibition in summer. I waited for ten months, and eventually I got an opportunity to try again. I left home at midnight heading to Oodarumi Touge (大弛峠), which is located on the northern border of Yamanashi prefecture. My house is located in the southern part of Yamanashi prefecture. According to Google Map, it takes three hours, much longer than going to Gotenba or Hakone. Two deers and one fox jumped in front of my car on my way there. Since I expected some animals would do it so I could safely avoid them. Yamanashi prefecture is one of the least populated prefectures in Japan. If you see a sign board making alert of animals, drive slowly so that you can safely avoid them. This entry was posted in Mt. 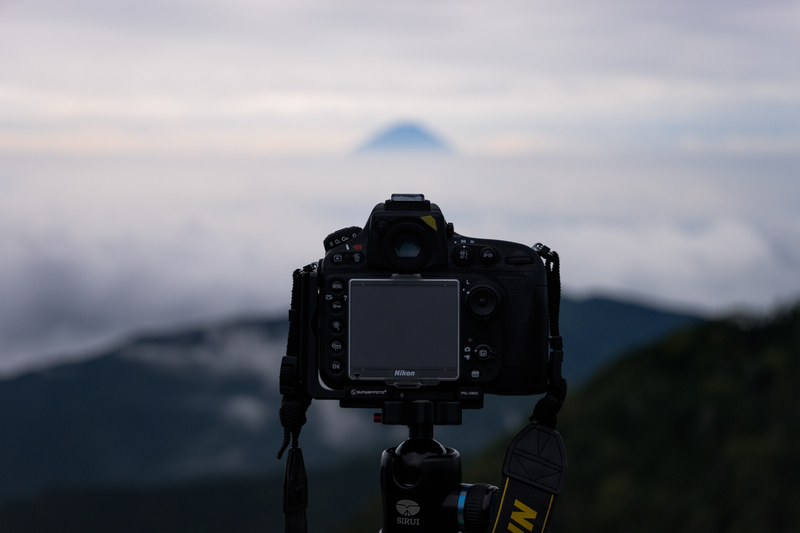 Fuji, Photography and tagged 70-300mm f/4-5.6, d800e, Hiking, ILCE-7K, Kinpu, Kokushigadake, mount fuji, Mountain Trail, nikon, sony, tamron, yuga kurita, α7, 国師ヶ岳, 富士, 富士山, 山梨百名山, 栗田ゆが on 09/19/2014 by yuga.